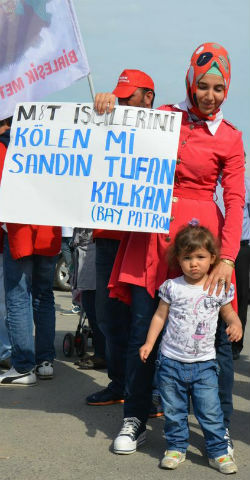 Two generations on the picket line in Turkey. At the request of IndustriALL and the Turkish Metal Workers union we’ve launched a new campaign demanding that M&T Reklam reinstate workers sacked for joining a union. After less than 24 hours online, the campaign — launched simultaneously in Turkish and English — has just under 3,000 messages sent.